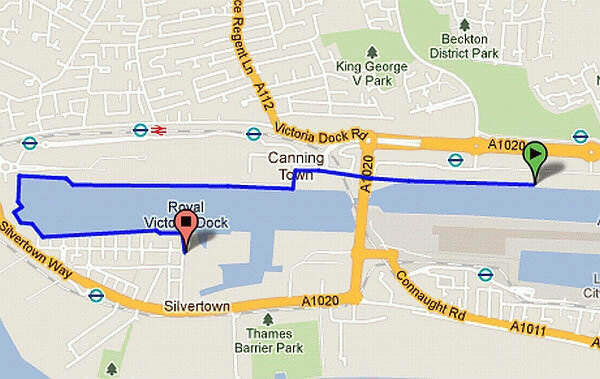 A fun and friendly pre-Christmas out-and-back run of 6,975 metres / 4.335 miles (inspired by Serpentine Running Club's monthly handicap run of exactly this distance) around the Royal Victoria Dock. Unlike other races, a handicap run has everyone finishing at about the same time. This is because the start is staggered, according to an individual's best age-graded performance during the year, so if all goes well there is an exciting finish down the final straight. Rather than rewarding the fastest runner, the event favours those who perform best relative to their previous performances. As the run is held late in the year and is able to be included in the Club Grand Prix, the hope is for both an exciting race in itself, and also an exciting conclusion to the annual intraclub competition.